We're less than a day away from the kickoff of the 2010 U.S. Open at Pebble Beach, and I couldn't be more ready. At 7 AM PST, Pappas, Woodland, and Sheehan will tee off from the 1st while Cabrera-bello (*not Angel), Mallinger, and Allan start on the 10th. That said, the first group that any reasonable golf fan will care about begins at 7:33. Camilo Villegas, former Masters champion Zach Johnson, and Luke Donald will play the 10th at the time. Of course, the eyes of the golf world will turn to the Ernie Els, Lee Westwood Tiger Woods pairing. It's probably not because of the South African who once was viewed as a Woods rival. 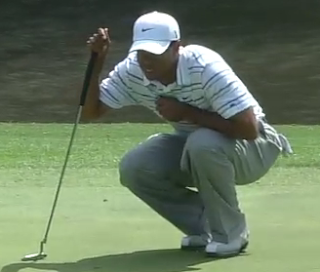 The anticipation surrounding Tiger's comeback isn't the same it was with the Masters. Nonetheless, the storyline is priceless: since his post-Masters golfing despair, he has broken up with his swing coach, suffered a neck injury, and faced an allegedly $750 settlement with his wife. Let's see what next? The Goosen, Furyk, Cabrera matchup is interesting. The USGA always loves the "three champions" approach. On top of that, Furyk and Goosen have certainly cooled down since their U.S. Open victories. Meanwhile, Cabrera has firmly taken on the role of "relative unknown who is prepared to strike at any moment for the big title." It will be a fun round to watch. Lastly, the pairing of European young gun Rory McIlroy with the legendary Tom Watson is a pretty phenomenal move. Rory looks like he has a chance to become a household name in golf while Watson has taken the PGA Tour by storm again (with his runner up finish at last year's British Open and an early run at the 2010 Masters). If nothing else, Tiger Woods understands Pebble Beach. His 2000 victory is, in my mind, one of the great accomplishments in the history of professional sports. As far as my game, I'm very excited about how it's progressed,since before [the] Memorial, then obviously during Memorial, and now here it's gotten better," Woods said. "The more time I've been able to practice and play, it's starting to solidify, and I'm actually really excited to tee it up on Thursday." "Excited to tee it up" sounds pretty good. In his press conference yesterday, Woods sounded as though he was regaining his edge. When questioned about the status of his marriage, he blocked the reporter out without though in his typical Tiger way. Woods has a history of magic in this tournament. He has a history of dominance on this course. That is a deadly combination when you are Tiger Woods. 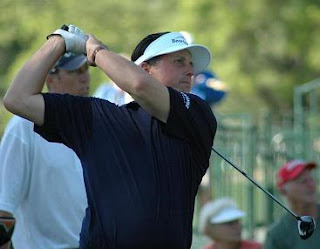 0 Response to "US Open 2010 Preview: Round 1 Tee Times and Commentary"